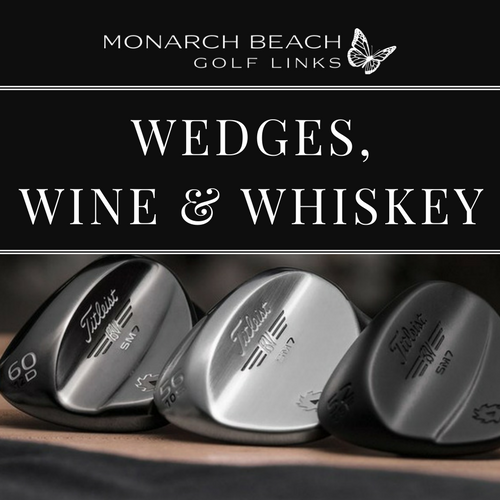 Test the complete line of the new Titleist SM7 Vokey Wedges while you enjoy wine & whiskey tastings! $180 per person | Includes a custom fit Titleist SM7 Vokey Wedge, short game clinic paired with wine & whiskey tastings. Purchasing for more than one attendee? Please input the full name of the other attendees in the space provided. Questions? Please contact Brandon Delgado, Director of Golf at bdelgado@monarchbeachgolf.com or 949.248.3014.